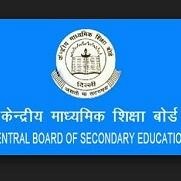 Class 10 result of Central Board of Secondary Education (CBSE) has been declared. CBSE Class 10 Result has Been Declared, Prakhar Mittal is the Topper from DPS Gurgaon, His Total marks is 499. Even Rimzhim Agarwal from R P Public School, Bijnor; Nandini Garg from Scottish International School, Shamli; Sreelakshmi G from Bhavan's Vidyalaya Cochin has scored the 499 scores. The result was supposed to be declared by 4pm. “Results of CBSE Class 10 examinations for 2017-18 to be declared by 4 pm on 29th of May, 2018,” tweeted Anil Swarup, the secretary of school education and literacy with the Union ministry of human resource development. The result is available on the official website of CBSE, candidates can also check their results on our website. The process of checking result is given below. How to check CBSE Class 10th Result 2018? Step 4: Wait for a few seconds and the result will pop up on the computer screen.